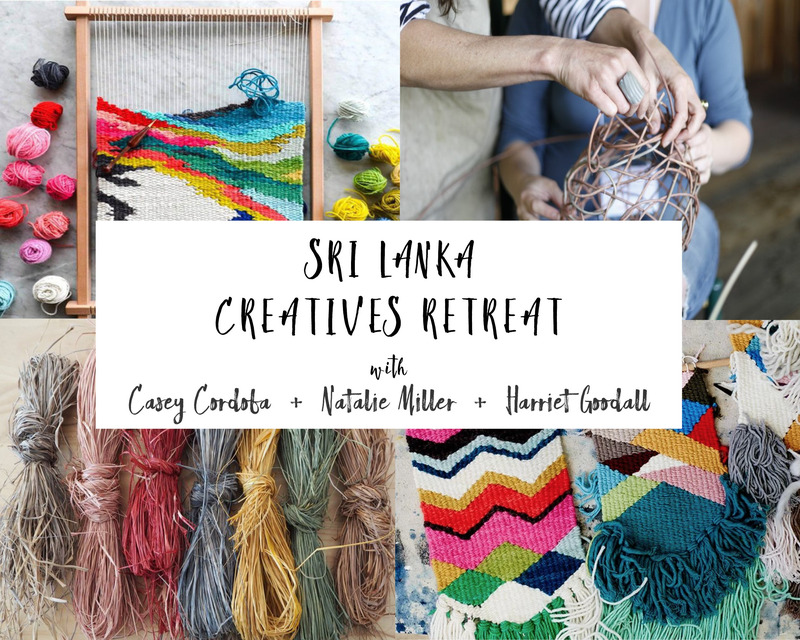 This retreat has been woven together with heart to inspire you to access your core creativity! Join us in in the breath-taking island of Sri Lanka for this artfully blended experience like none other! With eight nights and nine creatively infused days of Tapestry Weaving, Basket Weaving, Yoga Nidra and Restorative Yoga. Surrounded by leafy coconut palms, with far-reaching views of Koggala Lake, our first stop offers a tranquil location with the perfect blend of indulgent seclusion and immersion in Sri Lanka’s breathtaking natural beauty. Here, you will experience Sri Lanka’s first truly contemporary sustainable luxury design hotel. Not far from Galle Fort, on the shores of Koggala Lake (Sri Lanka’s largest natural lake) and within easy reach of the best beaches in the south, your architecturally designed suite spirals a six-acre hill of outstanding natural beauty. Ecotourism has never been so inspiring at the TriLanka the sustainable luxury hotel. We then make our way across country to begin experiencing the beauty and serenity of magnificent Ella; everyone’s favourite hill-country village. The perfect place to ease off the travel accelerator with a few leisurely days resting in Sri Lanka’s scenic hill country within the luxurious comforts of our five star elegant and chic resort - 98 Acres. Located on a scenic 98 acre tea estate, surrounded by stunning landscape accommodated in charming chalets made of recyclable substance. We then move onto finish our stay with a final night in the ‘Little England’ of Sri Lanka; Nuwara Eliya. Experience this genteel highland community with it’s rose-tinted, vaguely British-country-village feels and soak up the town’s unique bygone heritage. The verdant surrounding countryside of tea plantations, carefully tended vegetable plots and craggy hills spills with charm. We will stay in the night in one of Nuwara Eliya’s colonial hotels with a view of the well-tended hedgerows and pretty gardens, leaving you with the soft scented impressions of Sri Lanka to last a lifetime! Be guided through Tapestry Weaving with Natalie Miller and Basket Weaving with Harriet Goodall as they unite crafters from around the world and bring back the beauty of handmade. Casey Cordoba will join this infectious team to nourish our minds and bodies with a daily Restorative Yoga and Yoga Nidra practice (sleep based meditation) awakening our ability to discover our inner artistry, with great openness and curiosity. Escorted by Natalie Miller, Harriet Goodall and Casey Cordoba.